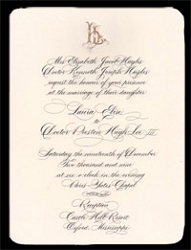 Alan's has access to some of the best calligraphers in the south. 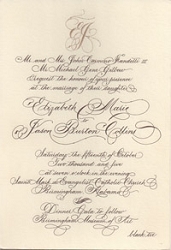 You can have a monogram, initials, names or the entire wedding invitation done in custom calligraphy. 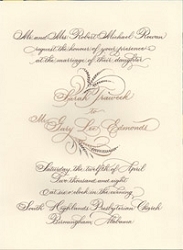 You can also use it on your reply cards, reception card program and wedding napkins. 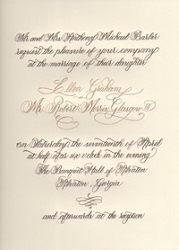 Let Alan's help you design your perfect and beautiful calligraphy wedding invitation.